Hot Even Though Your A/C is Working Well? Learn About Comfort Control! It probably won’t surprise you to learn that the word “comfort” is very subjective! In fact, what is comfortable for you may be quite different from what is comfortable for a family member, friend or colleague. Also not surprisingly, these differences in personal comfort preferences can lead to some, well, heated battles over the home or workplace thermostat! 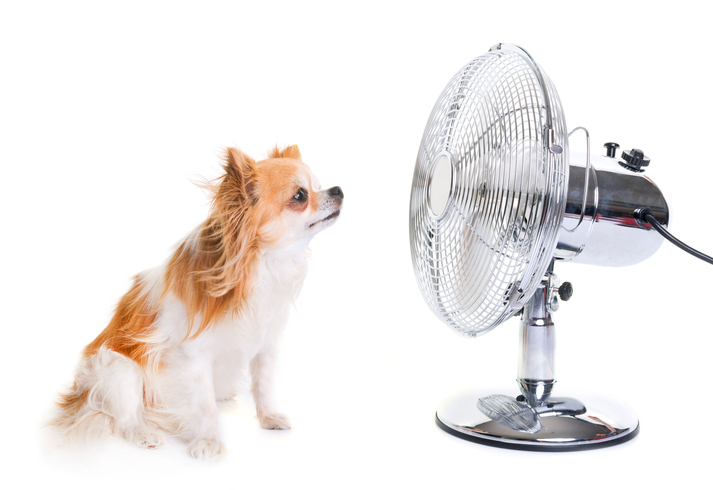 But when everyone in your home or at work agrees that it just feels too hot or humid, it is time to troubleshoot. Is your air conditioner in need of a tune-up? Or could it be something else? The U.S. Environmental Protection Agency and the Union of Concerned Scientists have issued warnings regarding the impact of climate change and global warming on human health. For Canadians and others living in northern latitudes, the impact of global warming may be particularly severe, since we do not experience some of the harshest, hottest weather in other parts of the world. So, here in Canada, we are less naturally acclimated to deal with hotter weather by taking appropriate safety precautions like drinking more water, staying inside during the hottest part of the day, wearing sunscreen and choosing appropriate clothing and protective hats. This is something we must become more aware of as the years pass to protect ourselves and our very young and elderly loved ones. But what your doctor may not have told you is that human body temperature can range from 36.1°C (97°F) to 37.2°C (99°F). This means that your normal body temperature might be higher or lower than the person sitting next to you at work or on the couch at home. Body temperature tends to lower naturally as we age, which means your son might have a higher natural body temperature than yours and a newborn will have a higher natural body temperature than you both. And all three of you will likely have a higher temperature in the morning than at night. Your body cools itself by sweating through the skin. As temperatures elevate, your body becomes less well able to cool itself naturally. At temperatures of around 35°C (95°F), your body will start to struggle to cool itself. After about six hours in this temperature range, the body will overheat. Add in the impact of humidity and hyperthermia (severe overheating) becomes a real danger. The higher the humidity levels, the lower the body’s ability to cool itself naturally. The heat index is a measurement of the intersection of heat (temperature) and humidity (moisture). For example, let’s say the temperature is 26°C (78.8°F) and the humidity is 65 percent. It will feel like the temperature is 28°C (82.4°F)—so a felt increase in temperature of about two degrees. But now let’s say the temperature is 33°C (91.4°F) and the humidity is 60 percent. It will feel like the temperature is 37°C (98.6°F)—here, the felt temperature increase is higher at around 7 degrees. Higher temperature plus higher humidity equals a higher felt temperature because your body is less well able to sweat and naturally cool itself. Summer and winter, the seasons of the most extreme temperatures and humidity fluctuations, tend to be the most uncomfortable times of year for many people. These are also the times each year when the indoor and outdoor environments can be most at odds. For example, in summer, it is nice and cool inside if you have A/C, while outside it is boiling. How do you deal with these discomforts, especially when you have already had your summer A/C service and have been assured your unit is working perfectly? This is what we recommend. If there is ongoing disagreement in your home or workplace about whether it is too hot, too cold or just right, it is time to do a little social experiment! When no one is looking, begin to raise the thermostat by 1 or 2 degrees at a time. See if anyone notices and notice how you feel. Then do the same in the opposite direction and wait to see if anyone says anything. As the U.S. Department of Energy (DOE) reminds us, fans are for cooling people, not rooms. The motion of the air doesn’t do a thing for the actual room temperature, but it really helps to keep your skin dry and cool, which in turn helps your body do its work of keeping you cool. The DOE states that just adding a floor or ceiling fan can allow you to potentially raise the ambient room temperature (how hot it is) by up to 4 degrees without anyone even noticing. Did you know that people in the early 19th century thought a temperature of 12°C (53.6°F) was comfy? Fast-forward to now and our indoor temperature preference in summer hovers around 22°C (71.6°F). What changed? We started dressing differently! The extreme layering of the 19th and early 20th century has been replaced with a different dress code today. If there is quite a bit of disagreement about what is a comfortable indoor temperature in your family or among your colleagues at work, take a look at what everyone is wearing for clues as to why! Are you sick and tired of being hot and sweaty this summer? We can help! Contact us online or give us a call at 905-549-4616 to schedule your summer air conditioning maintenance service! During this service, we can evaluate your space for thermostat accuracy as well as humidity levels and make money-saving recommendations!